Some of you may be a bit too recent to remember the broccoli chip incident of 2012, but believe me it is the stuff of legend in our house and remains one of the defining moments in parenting joy. 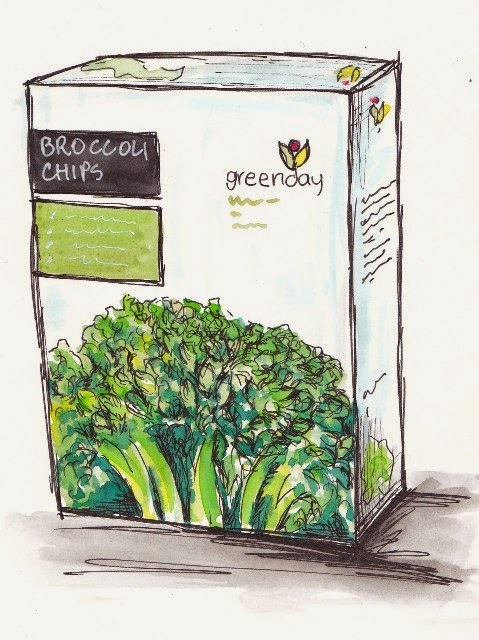 In short broccoli chips are reminiscent of fish food filled, wet, old boots that have been baking in the sun for a couple of days and have provided a benchmark for the level of disgustingness of something ever since, but it would appear we have a new contender. Sinus and I headed off to the liquor store, which is know as the bottl-o in these parts, to buy a celebratory beverage for the end of radiation. I am no drinker... infact if you look up cheap drunk in the dictionary there is a little animation of me dancing on a table while singing eighties tunes, followed by a very unflattering collapse into a snoring, drooling mess. Now I am sure there are some people out there who think this stuff is like the nectar of the gods, and maybe my lack of drinking chops contributed, but this is impressively awful... one taste and my throat slammed shut, my eyes did a funny dance and I had trouble catching my breath. Phantom looked suitable horrified and concerned through her giggles and snorts, which is why she is such a magnificent daughter, but Sinus of course was disbelieving of my theatrics, immediately decided he needed a taste. That bottle looks great. Wonderful job as always and congrats on the celebration. Woo Hoo! Hooray! Love that view from the bedroom window. Take care. You are hilarious!! Snort! I know what your saying!! Those illustrations are wonderful!!! I want a view like that! Beautiful! So happy to learn you are done with radiation! So now what? You just sit around and draw to your hearts content and wait for everything to be tested and come back with "perfectly healthy" stamped on your forehead? I sure hope so!!! Love all the art! Especially the clear glass shine to the rambler bottle! Happy day, Tracey, happy day! that gorgeous bottle makes up for the fact that it's eminently non-drinkable. Cool!!! So, so funny!!!!! Glad you have these memories. But you are quite right, the bottle is a nice one! Oh Tracey that was hilarious! I'm so disappointed it wasn't nice because as you described what was in it I was thinking Oh that sounds like something I'd like to try. What a shame but still it provide great fodder for another funny blog post and a great illustration to boot! Wow, I just love your illustrations!! It is a really beautiful bottle though, so that's something :). What a lovely view, love all the tall big greens in your garden. Still giggling thinking of your face when you drank it. Isn't it always the way, you get sucked in by the packaging, I'm sure they do it just to get you to buy one. Love your pictures. May I suggest you try a simple wine next time but get Sinus to try it first(he he). So glad the radiation is over for you Tracey. What a great view from your bedroom window, and a lovely painting of it. Plus the painting of the bottle which is obviously better than the taste of it. Fun post to start my day, and celebratory thoughts winging their way on the end of that medical chapter. A another giggle fest for this fine morning! Thank you! That bottle is very cool. It reminds me of a vinegar bottle which would have put me off at the get go! Not having the stomach to tolerate much in the booze department (though in my younger years I gave it a good effort) I can totally relate! :) So glad to hear the radiation is done & over! Wooooo hooooo! haha, I can just see it happening :-) This is one celebratory drink you won't forget. So good that radiation is finished, and i LOVE that view from your bedroom window! so glad your radiation treatments are over Tracey. I can so picture all of this with those swigs of bourbon :):) Your drawings continue to amaze me -brilliant!! OMG I remember the B chips well. So funny!..haha I hate when that happens. Well at least you got a good sketch out of the bottle...I love how it turned out!! Glad you are done treatments....now go EAT CHOCOLATE...that's a the real celebration!! Snort! Good to see you painting and Yippee -- the radiation is over! better findd something a bit less evil tasting for that salute! That is again the old do not judge a book by its cover !! !I'm so glad you finished with treatments!!!! Hahaha! Tracey, you and yours are just way too funny! Each time I come here you make me smile and think that all bad things must be faced with a big smile stamped on our faces. I tried Kale chips the other day which I suspect could be added to your list. Although, nothing prepared me for lactose-free cheese. Latest diagnosis for my poorly son is foot intolerance (though I did insist that we'd been down that route before...). Anyway we are trying a week without milk and gluten. I bought some lactose free smoked cheese and thought I was eating vomit! SSooooo happy to hear you are done with the yuckkie stuff. Now you can heal and create your beautiful art. Always sending healing energy to you. It's good to have benchmarks. 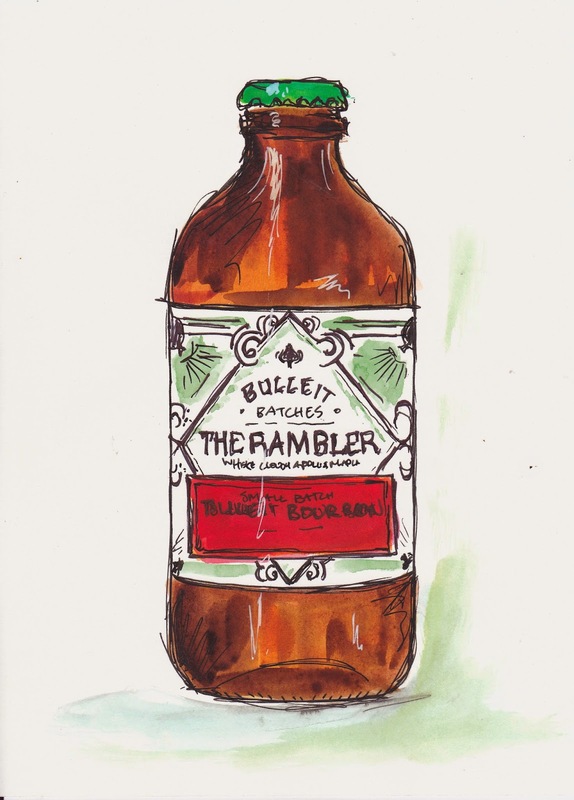 Just when you think nothing can taste worse, you find your rambler. Congrats for getting through radiation! I hope you had something delicious to celebrate. The painting of the offending rambler only shows a hint of disgust in the dark brown. Love the view from the bedroom window -- gorgeous and lively work. What a great story. I especially like the nose pinching part. I haven't had a drink in many years and your latest adventure has not encouraged me to change my mind. I think I'll continue to get my high from Choc. Chip Cookies and Paint. Your painting is gorgeous. I want to live there. Delighted to hear that you are over the radiation. Definitely cause for celebration....but YUK! For heaven's sake...get a bottle of bubbly. Mind you, it perhaps contributed to your beautiful sketch... definitely a good way to forget the experience. An excellent story and a wonderful drawing! I love your line work! Wish the drink had been tastier, but at least you have a funny memory and a great story! Tracey, I'm so happy for you that the radiation is over. Not being more of a drinker than a glass of white wine every couple of weeks, I think I will forever pass on the opportunity to sample this beverage you are mentioning. I thought the episode of broccoli chips would have assuaged your appetite for trying new and exotic foodstuffs. Apparently your culinary curiosity is stronger than mine. Love your artwork as always. You brighten my day. What delight you bring into the online art community. Tracey, your art could convince anyone to give the contents a try! I so enjoy looking at your banner with all of the tea, the colours in it are all my favourite! I love tea too! I hope your art fills you with strength and courage and you are healthy for a very long time. well, at least the label is cool! that's my determining factor when purchasing alcohol. Congrats on the end of radiation! It's great to see that your humor and painting skill survived intact. There's nothing like one of your stories to get the weekend started on the right note. I thought of you today as my friend posted on Facebook "Never say never...had my first 3 tattoos today!" They too are for radiation and will never be seen by the public. But at least she is tackling this whole affair with humour like you have. Good luck as you move into the next phase of this new life of yours. Raising a glass (of smooth single malt whiskey - my tipple of choice) to you and yours from this side of the ocean. Cant say that I have seen that bottle or anything like it here, but thanks for the heads up...I will avoid it like the plague if I do! what a lovely dreamy view!! so lucky... cool looking bottle too! I tell ya, the things kids drink nowadays... tsk tsk... I brought back some frightful stuff called Baijou from a trip to China and it gave me great pleasure for months to come to invite folks to try it - this sounds like that. Have a great week! Haha! Fantastic story. I am also a lightweight. I do not like the taste of alcohol but it is sometimes fun to get a little buzz. I'm told I make some award winning faces and I suspect the beverage you purchased would elicit one of those. Fantastic painting of the bottle...the glass looks amazing. I'm so glad you are able to celebrate the end of the radiation but maybe just the usual bubbly might be less traumatic...just a thought. The bedroom window view is brilliant and I wish my foggy bedroom view could be changed to yours for a wee whilie. Well at least the label is fun. I like your version of it.